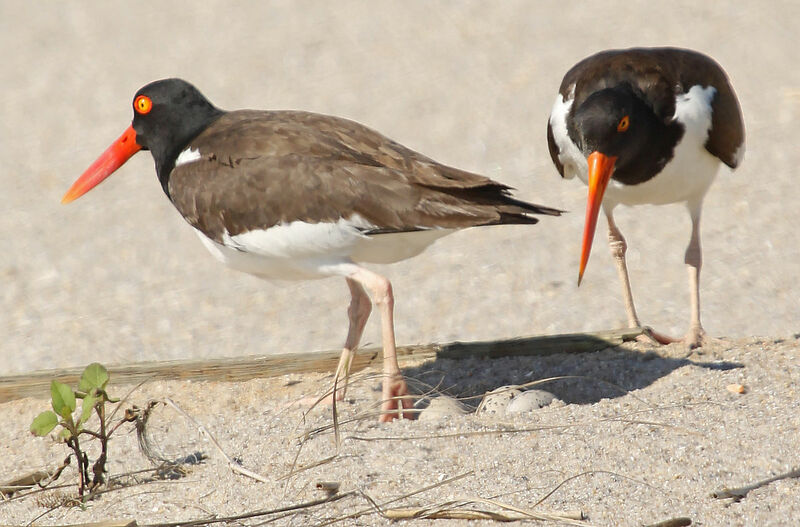 The American oystercatcher is a large shorebird with a bright red bill and yellow eyes found on the tidal flats and coastal beaches of the Atlantic coast. They nest on beaches on barrier islands, can be seen in the Jones Beach area and feed on mollusks (oysters, clams) and marine invertebrates. In the 19th century they became locally extinct due to market hunting and egg collecting. After receiving protection under the Migratory Bird Treaty Act, their range extended northward to re-occupy historical habitat.